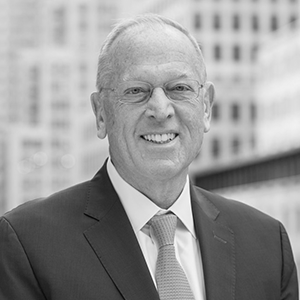 Jeffrey E. Levine is the Founding Principal and Chairman of The Douglaston Companies consisting of Douglaston Development, Levine Builders, and Clinton Management. Since founding the organization in 1979, Mr. Levine has directed new construction or rehabilitation of thousands of residential units, including both affordable and luxury housing, student housing, hotels, senior living, healthcare facilities, and millions of square feet of commercial retail, office, and institutional spaces. Mr. Levine’s most recent accomplishment is the Development of the Williamsburg Waterfront in Brooklyn which consists of more than 2 million square feet of mixed-use residential, spread across four distinct buildings, The Edge, Edge Community Apartments, 1 N. 4th Place and Level BK at 2 N. 6th Place, with approximately 2,000 residential units and over 60,000 square feet of retail, structured parking, a water taxi pier, and a pedestrian esplanade. Many of The Douglaston Companies’ projects have received recognition. The Edge received the NAHB’s Pillars of Industry Award for best mixed-use community and best high-rise condominium. 555 West 23rd Street received both the National and New York Regional Design Award of Excellence from the Society of American Registered Architects. 90 West Street was named the Best Adaptive Reuse Project from New York Construction’s Best of 2005 Awards, as well as the Excellence in Historic Preservation Award from The Preservation League of New York State. Mr. Levine is a member of the Real Estate Board of New York’s Executive Committee and a founding member of both the New York State Association for Affordable Housing and the Kimmel Foundation, a not-for-profit organization dedicated to creating and promoting affordable housing and services for aged, handicapped, and other special-needs populations. He currently serves on the Board of Directors of the Citizens Housing and Planning Council, the New York Housing Conference, and the Chamber of Commerce of the Borough of Queens. He is a partner in the Partnership for New York City and a member of the National Association of Homebuilders Multifamily Council, the Long Island Housing Partnership, the New York Housing Partnership, the National Council on Seniors Housing, and the Urban Land Institute. In 2005, Mr. Levine was appointed to the Mayor’s Commission on Construction Opportunity. In 2014, Mr. Levine became a vice-chair at the New York Building Congress. He sits on the Advisory Board of the Bernard and Anne Spitzer School of Architecture at the City University of New York and most recently became a member of the Advisory Board of New York University’s Real Estate Institute. Some of Mr. Levine’s many professional recognitions include the Ernst & Young Entrepreneur of the Year, the National Association of Home Builders Affordable Builder of the Year, the Associated Builders and Owners of Greater New York Developer of the Year, and the Phipps Housing Community Builder of the Year. The New York Housing Conference also named Mr. Levine Developer of the Year in 2000. In 2010, Mr. Levine was recognized at a Tribute Dinner for St. Mary’s Health Care System for Children. In 2011 he was honored with the Met Council’s Builder of the Year Award. Mr. Levine, together with his son Benjamin, received the “Generation-to-Generation Award” from the Jewish Community Relations Council. He has also received the 2012 Israel Peace Medal from the Development Corporation for Israel. In 2016, Mr. Levine was honored by the Real Estate Board of New York with the Kenneth Gerrity Humanitarian Award as well as being given the Impact Award for Housing by the Citizens Housing and Planning Council at their Annual Luncheon. Mr. Levine is currently Chairman of the Board of the Jewish National Fund as well as, a member of the Jewish National Fund’s National Board, which recently honored him with its Tree of Life, a humanitarian award given in recognition of outstanding community involvement. Mr. Levine graduated from the City University of New York’s City College School of Architecture and resides in New York City.